When Dr. Lecia Sequist was undergoing her training to become a medical oncologist at Massachusetts General Hospital (MGH) in the early 2000s, the treatments available for lung cancer were very limited. Radiation and surgery were seldom options, because in most patients the cancer had already spread beyond the lungs by the time they were diagnosed. That left an array of chemotherapy drugs, all with unpleasant side effects. None had long-lasting benefits. Average life expectancy was only a year. "It was a sad time, because a diagnosis of lung cancer was a pretty grim outlook," says Dr. Sequist, now the Landry Family Associate Professor of Medicine at Harvard Medical School. Over the last two decades, however, scientific discoveries and new approaches have dramatically improved outcomes, greatly increasing life expectancy for some patients. "Every day in clinic, and every time we meet a new patient, we see that these advances are making a difference," says Dr. Sequist. "It's really been a remarkable thing to watch unfold and to be a part of." This transformation illustrates a broader change going on in health care today: the emergence of precision medicine. Historically, most medical treatments have been designed to treat the average patient. Because all people are different, this one-size-fits-all approach has resulted in treatments that work well for some patients, not so well for others. But over the last 15 years, since the sequencing of the human genome, doctors in many fields have developed treatments more tailored to individual patients, taking into account not only their unique genetic makeup, but also factors like lifestyle and environment. Cancer treatment is one of the areas in which precision medicine has borne the most fruit. Old-line chemotherapy drugs of the kind Dr. Sequist first prescribed were brute-force, indiscriminate weapons that targeted all dividing cells within the body. In killing cancer cells, they also caused collateral damage to healthy dividing cells, including those in the gut and the scalp. That's why so many cancer patients struggled with nausea and lost their hair. But as researchers have identified the genetic changes that turn healthy cells cancerous, that knowledge has led to targeted therapies — smart bombs aimed precisely at molecules found in cancer cells but not in healthy cells. Dr. Sequist has specialized in treating one such molecular target known as epidermal growth factor receptor (EGFR). 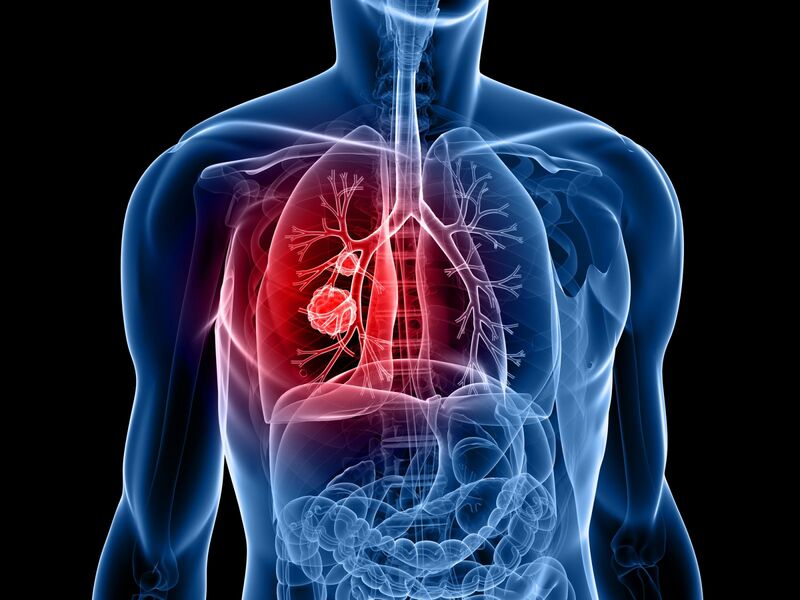 Why does EGFR matter in lung cancer treatment? EGFR is a protein found in epithelial tissue, which comprises the outer layer of skin and the lining of organs and cavities inside the body, including the lungs and the gut. "Everything that touches the outside world has a skin component to it," says Dr. Sequist. In healthy tissue, EGFR serves as a switch, signaling the cell to divide and grow appropriately in response to changes in the cell's environment. But a mutation in the gene that produces the EGFR protein can lead instead to uncontrolled cell growth — that is, cancer. In 2004, Dr. Sequist was a fellow under Dr. Thomas J. Lynch Jr., chief of hematology-oncology at the MGH Cancer Center, when Lynch and others discovered a cancer-causing mutation in the EGFR gene. That discovery has since led to the development of five FDA-approved drugs for treating lung cancer by targeting the rogue EGFR protein. Called EGFR inhibitors, these drugs include gefitinib (Iressa), erlotinib (Tarceva), and afatinib (Gilotrif). "I was just starting my training," Dr. Sequist says. "One of the very first projects I did, building on this discovery, was to test patients who were newly diagnosed with lung cancer, looking for this mutation. And if we found it, we would treat them right away, up front, with one of these [EGFR inhibitors], as opposed to the standard regimen of chemotherapy. We definitely got some skeptical looks, and some raised eyebrows, because we were 'withholding' standard treatment. We were doing this experimental treatment first." But the MGH clinical trial — the first in the nation — showed that EGFR lung cancer patients had better survival rates and milder side effects as a result of this targeted therapy. Other trials around the world confirmed the result. "So, within a few years, that became the standard of care approach," Dr. Sequist says. While Dr. Sequist spends most of her time on clinical research, she continues to see some patients every week. "I can't imagine doing one without the other," she says. "Seeing patients — and especially losing patients — is an incredible motivator to change things so that you don't have to go through that again with other patients and other families." Fortunately, the vast majority of patients treated with EGFR inhibitors respond positively, their cancers held in check for up to two years. After this, other treatments may further extend the lives of some patients. Case in point: Bill Schrul. When diagnosed with lung cancer in 2012, Schrul was a healthy, athletic 56-year-old telecom sales manager. Schrul, who had never smoked, was still processing this shocking news when his New Jersey doctor told him there was "good news:" He had the EGFR mutation and was therefore a candidate for targeted therapy instead of traditional chemo. Schrul spent a year taking one of the early EGFR inhibitors in New Jersey, then transferred to MGH, where Dr. Sequist was able to get him into a clinical trial of a second drug. Today, more than six years after his initial diagnosis, he is on his third EGFR drug and still going strong. "This drug has been nothing short of spectacular," Schrul says. "I feel better now, at the six-year mark, than I felt at one year." Over the course of his treatment, Schrul has experienced side effects such as itchy skin, brittle nails, thinning hair, and cataracts. "All things considered, they're extremely minor compared to other people I've talked to, especially if you've gone through chemo or radiation," he says. "I would say my quality of life is very good. I'm not going to go out and play full-court basketball today, but I can go to the gym and work out, and I can walk my dog, and I can swim. I sleep well, I eat well, I haven't lost weight, and my health is good. So, for being a cancer patient, I'm very blessed to feel like I do." For all its promise, targeted therapy is not without its problems. First, EGFR inhibitors work only for patients who have the EGFR mutation, offering no help to cancer patients who do not have it. Second, while some patients see their cancer go away almost completely, the treatment merely checks tumor growth for others. And perhaps most frustrating, even in those patients who respond well, like Schrul, the treatment stops working after a year or two, as tumor cells resistant to the drugs begin to multiply. "That's been another main area of my research over my career — understanding how [resistance] happens," Dr. Sequist says. In an effort to solve this mystery, Dr. Sequist's group has pioneered the technique of taking multiple tissue samples of tumors over the course of a patient's treatment. "It sounds really simple," she says, "but people just didn't used to think about doing that. The patient would have one biopsy at the time of their initial diagnosis, and then all the treatment decisions for the rest of their life were based on that one biopsy." What's become clear from these repeat biopsies is that cancer is not a stationary target. Tumor cells are constantly evolving in response to treatment, acquiring new mutations that can make them impervious to the drugs. In fact, as cancer metastasizes, or spreads throughout the body, tumor cells in one organ may become genetically different from those in the organ where the cancer originated. "The idea that the tumor does evolve and does change in response to what we're treating it with, has been a real change in people's understanding," Dr. Sequist says. Understanding that not all cancer cells are alike, even within a single patient, has led to changes in treatment. Until a few years ago, doctors might give up on a treatment if they saw that a tumor was still growing in one part of the body. "Maybe only one of the metastatic sites was growing, but you would sort of throw in the towel and say this treatment was no longer working," she said. "But the treatment could be working every place in the body but one. That happens really commonly. For whatever reason, a cell gets resistant to the treatment that you're giving, and it divides, and so you get tumor growth in one area, but everywhere else is actually stable and under good control." Today, Dr. Sequist often maintains the therapy that is working for most of the body, while administering a more focused treatment to the one area where the cancer is out of control. "That's really common with all of our lung cancer treatments now," she says. "And that really arose out of the targeted therapy experience." The repeat biopsies may also allow the cancer team to identify the specific new mutation that is making the tumor resistant to treatment in a particular patient — and, as in Schrul's case, recommend a new drug known to target that mutation.